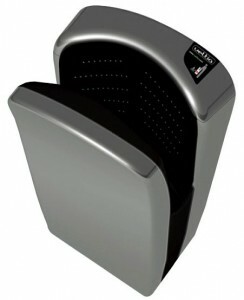 The VELTIA is Efficient, Hygienic, and the most cost effective Hand Dryer in the world. Unlike other driers, the VELTIA does not create a heated environment, without heat bacteria that would normally thrive, struggle to breed and multiply. The VELTIA does not use hot air to dry your hands; therefore far less electricity is consumed. 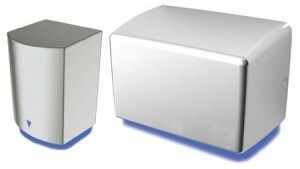 The VELTIA is twice as fast as a conventional hand dryer. High-speed air micro streams draw in cold air from the atmosphere to completely dry both sides of your hands in 10 seconds.